As you all know, our entire AVEDA network possess the feel good philosophy deep rooted in our beauty DNA. But this year we are upping the game with a 24-hour global Cut-A-Thon on Earth Day, 22 April 2013. Don’t have a decent excuse for getting a new spring haircut? Now you do: Aveda is hosting a global cut-a-thon for Earth Day, April 22. Aveda stylists all around the world are giving their time in exchange for donations, 100% of which will be sent to clean water charities. We’re not talking small dollar amounts, either. Within the past six years, Aveda has supported clean water projects with $20 million in funding. This year’s Earth Day goal is to set the Guinness World Record for the most money raised for charity by haircuts in a 24-hour period. We’re not sure if there’s all that much competition for that title, but we do love the Earth and clearly have a soft spot for fresh ‘dos, so count us in. It’s like hitting two birds with one… trim. 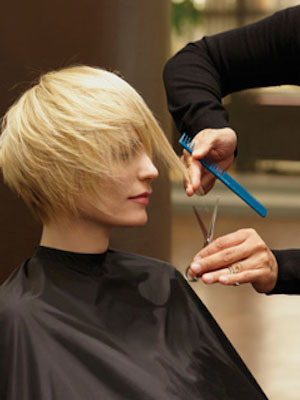 You can check out Aveda’s events page to find out where and when to get your Earth-positive cut. We’ve always felt like a visit to the salon makes the world a better place, and now it actually, literally will.